Sharkoon reveals Vaya, a new value case that will be sold for around $35. 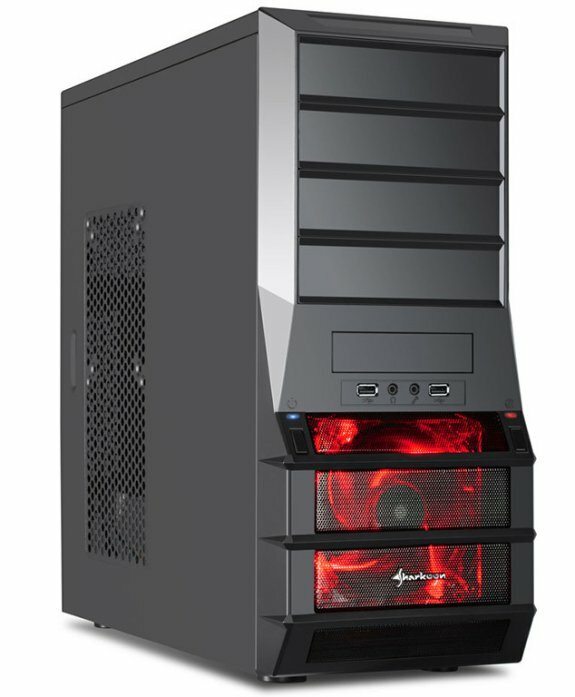 It's made from SECC steel and ABS plastic, and offers one bundled 120mm red LED fan, tool-free installation for the drive bays and expansion slots, cable management and watercooling cut-outs and a cut-our for easy CPU cooler swapping. 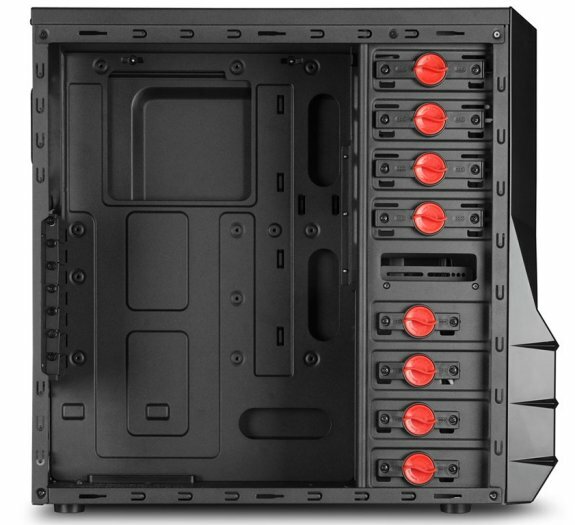 Measuring 465 x 185 x 440 mm (L x W x H), the Sharkoon Vaya provides room for up to four 5.25" drives or utility panels, one exposed 3.5" bay, and four internal 3.5" bays. The front panel provides basic USB 2.0 and audio ports. The lone fan bundled is a front red-illuminated 120 mm spinner, there's room for one 120 mm fan on the rear panel, and two on the side panel.